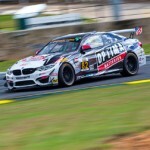 The BMW experts at BimmerWorld are always prepared for fight in the GRAND-AM Continental Tire Series, and last weekend’s race at the picturesque Wisconsin road course proved that the Dublin, Virginia-based team can never be counted out. With the odds stacked against them on the high-speed 4.0-mile road course, due mostly to the engine air restrictors its inline-6s are required to use and the excessive ballast the normal-sized BMW 328is are forced to carry, the James Clay-owned team entered the weekend expecting to see its smaller, lighter rivals in the Street Tuner class motor away on Elkhart’s numerous long straights. BimmerWorld’s fears were realized when even the least developed entrants were able to pull out significant gaps on the three-car 328i effort, but with a decided advantage under braking and through the corners, at least one of BimmerWorld BMW’s managed to pull off a solid finish, despite setting a best lap that was nearly one-second slower than the fastest ST car in the race. Realizing that a win was beyond the scope of reality, Clay and co-driver John Capestro-Dubets (JCD) used an exceptional amount of guile and inch-perfect driving to secure a third-place finish in the No. 80 BimmerWorld entry, the best result for the duo so far this season. 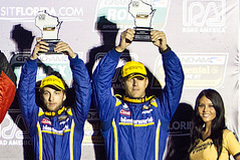 For second-year GRAND-AM driver JCD, maturing into the pressure-packed role of being the closer has resulted in the No. 80’s two best finishes—a fifth at Mid-Ohio and a third at Elkhart—in consecutive events. Well behind the No. 80, the No. 81 of Barber Motorsports Park race winners Gregory Liefooghe and David Levine soldiered home to finish a disappointing 14th after being hit by a competitor and losing any chance of staying in the draft being utilized by the lead pack. The No. 82 CRC BRAKLEEN® BMW 328i driven by Seth Thomas and Dan Rogers encountered a virtually identical scenario, and after being hit and losing the draft, the teammates fought back to eventually place a distant 17th at the checkered flag. 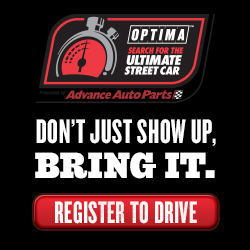 Using the Elkhart event to assess its current state of competitiveness, three years into its GRAND-AM ST program BimmerWorld has adapted to the changes the series has mandated to the best of its ability. 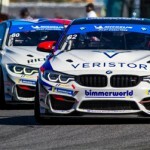 With the BMW 328i chassis and engine slowed a bit more each year, Clay has witnessed BimmerWorld go from vying for the championship in 2010 to being on the outside looking in at most rounds in 2012. BimmerWorld’s lone win this season came as a result of the ‘right place at the right time’ dynamic Clay mentioned, rather than watching his cars march to the front of the field on pure speed, driver skill, or team execution, and despite honing his team into one of the most efficient and forward-thinking operations on pit lane, the chance to challenge for wins from round to round will only come when the rules are balanced to include the 328i. 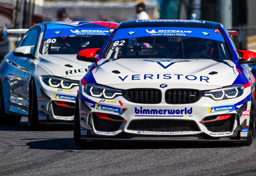 “We have solid cars that are consistent and this season shows that we are a constant threat for a podium from all three BimmerWorld entries,” Clay explained. “But we also rely on a bit of luck and gifts from our competitors more than I would want. We are executing impeccably and we should have three cars in the top 10 almost every weekend. Looking ahead to this weekend’s race at Watkins Glen, Liefooghe, who has quickly asserted himself as one of the elite drivers in the Continental Tire Series, expects the team’s Performance Friction brake package to continue to play a significant role in BimmerWorld’s results, and also points to the handling refinements the team has developed as a key to quickly navigating the 3.4-mile, 11-turn track. 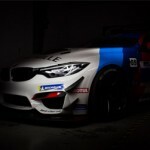 “Even though the rules package is not in our favor, our BimmerWorld BMWs still have advantages in some places compared to the rest of the field,” he said. “One of the places where we shine is top end speed, but the problem is we are the slowest to get to that speed because of our extra ballast and lack of torque. Fortunately, our handling is great. 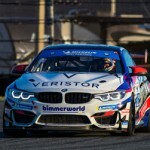 Follow the team’s progress this weekend atwww.BimmerWorldRacing.com, and be sure to tune in and watch the No. 80 earn third at Elkhart Lake when the race is broadcast July 8th at 12 p.m. ET on SPEED.